Creating food memories through family meals and traditions, culture and religion have important value in your child’s life. Pour oil into large skillet and sauté onions till translucent. 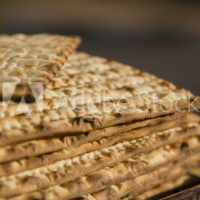 Run warm water over matzoh and break into small pieces into a bowl. Add eggs and mix with matzoh using a whisk. Add mixture to skillet and cook and turn over with a spatula as you would cook eggs. If you like your Matzah brei toastier, cook for longer.